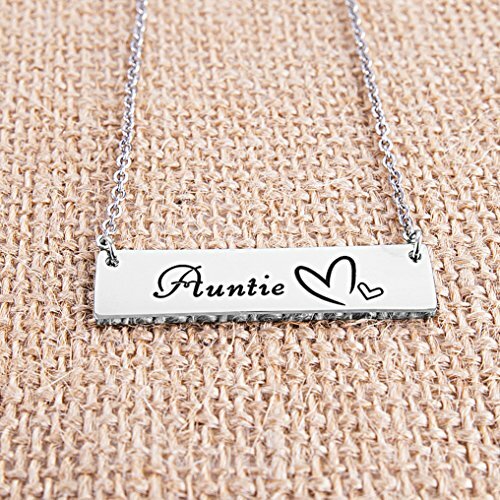 UNIQUE AND PROFOUND CHRISTMAS GIFT FOR AUNTIE- This Auntie Necklace is the perfect gift to give any Aunt to show her that you don’t just care about her but rather love her as a member of your family. 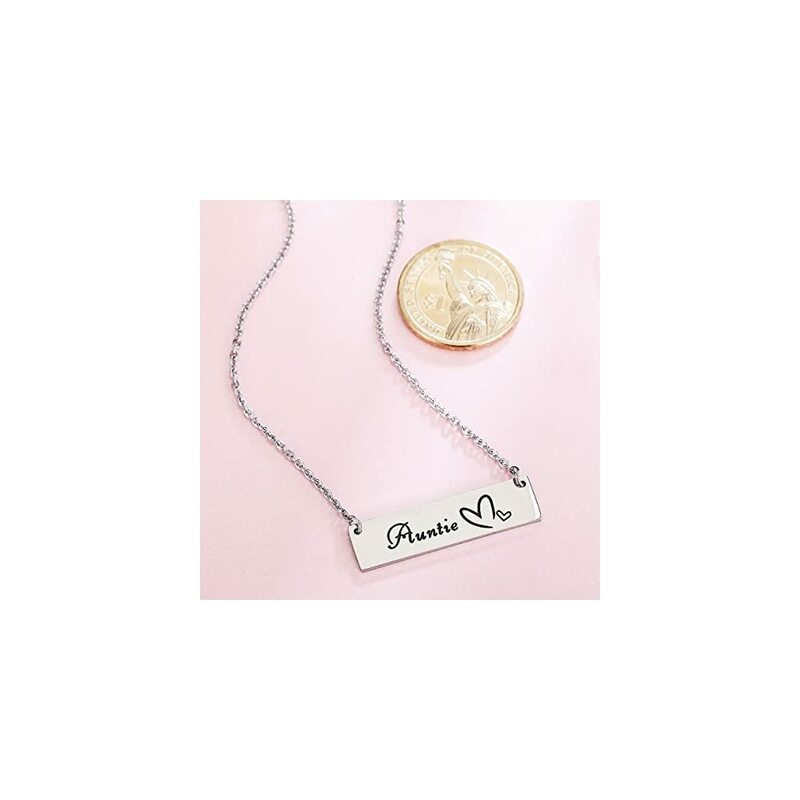 Whether she’s a special Aunt in your life or is soon going to be an aunt, there’s no better way than this sweet personalized gift/keepsake made just for her. 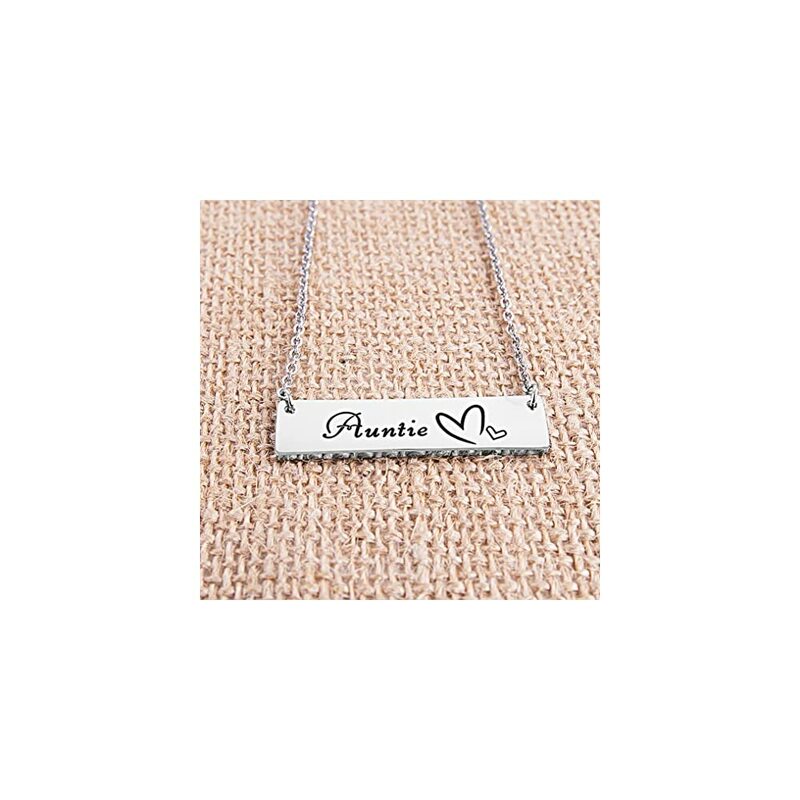 SUITEBALE FOR VARIOUS OCCASIONS- This is a timeless piece of jewelry that looks perfect on any Auntie regardless of age. 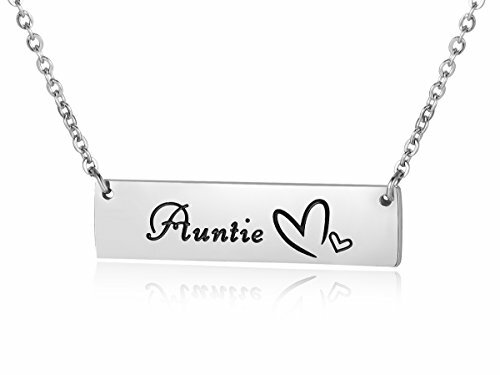 If your Auntie has a birthday coming up, an anniversary or if you’re just looking for a thoughtful yet practical Christmas gift, then our Auntie Necklace is the best gift for Auntie you can find! 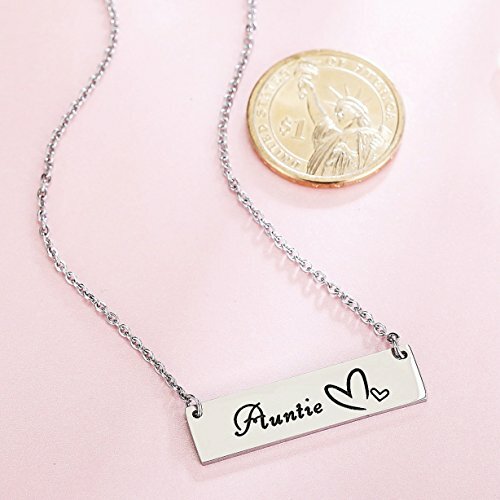 ELEGANT AND FASHION-This is an elegant yet fashionable Auntie Necklace that has a big heart and small heart shape etched on to the durable plate to emphasize feelings of care, familial love and appreciation to show her just how much your Auntie matters to you. An Aunt is that special someone in your family that’s like your Mother and your Best Friend at the same time! Only an Aunt can hug you like a mother, cheer you up like a friend when you’re feeling down, keep secrets like a sister, and care and love you like family. 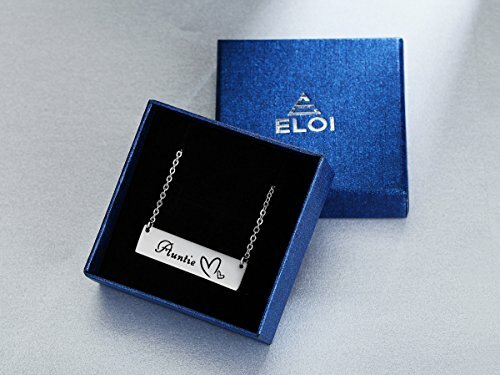 It is an excellent way to show your love to your Aunt with this elegant piece of jewelry. I have bought from this company before and their products are really good value and very well crafted. Really like the shape of this, seems like a good buy. My niece got me this for Christmas this year! Very beautiful! I love it!